Influencer Marketing is a growing industry: it is expected to reach $10 billion by 2020. Marketers have already seen an increase in competition and costs as a result of the marketing strategy’s popularity. According to the 2019 Influencer Marketing Benchmark Report, nearly two-thirds of marketers surveyed intend to increase their spending over the next 12 months. However, 57% of respondents have faced obstacles when justifying their spending to management. This is primarily due to a lack of understanding of how to measure the return on investment. In fact, Influencer Marketing ROI and improving metrics to track campaign results are consistently noted as the biggest challenge facing the industry in 2019 and beyond. The focus on ROI aligns with the desire for greater transparency and authenticity in the face of growing pressure to address fake followers and bots. 94% of marketers agree that it’s becoming harder to tell whether an influencer is genuinely influential. Despite these compelling reasons to tackle influencer marketing ROI, most marketers still don’t have a good strategy for measuring the success of campaigns. Just 18% of those surveyed report that influencer marketing is an intrinsic part of digital marketing ROI calculations, with 35% not taking any actions to calculate ROI. Before launching an influencer campaign, you need to decide what you want your end goal to be. 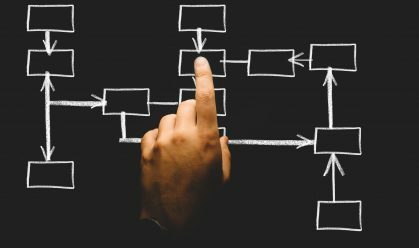 With a myriad of numbers and data available, having a clearly documented objective for each campaign will make it easier to understand what metrics you need to track. According to the Benchmark Report for 2019, 37% of marketers engage in influencer marketing for brand awareness, 32% use influencer marketing to drive direct sales and 31% use influencer marketing to build up a library of user-generated content. In addition, influencer campaigns can also be used to increase consideration through website traffic, drive lead generation and email capture and increase brand lift. Once your overall goals are identified, decide which metrics you will use to track progress towards your key campaign objectives. For example, if your goal is to increase brand awareness, you will want to track impressions, reach, brand mentions and follower growth. 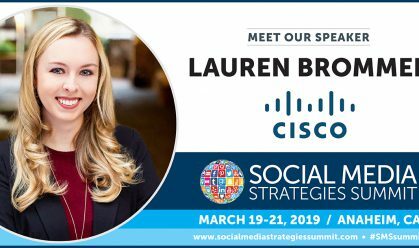 According to the study from Influencer Intelligence, 85% of marketers reported engagement data, such as comments and content shares, as the biggest metric of success for influencer marketing. In order to calculate influencer marketing ROI, you will need to build metric tracking into each influencer campaign. Identify the asset or assets that you’ll use to determine success and then make sure that your campaign can accurately track that specific data. For example, in order to determine how many orders a specific influencer was responsible for driving, you may want to have the influencer share a unique discount code with his or her followers. Common tracking assets include campaign hashtags, tagged or affiliate links, platform-specific data and discount codes. If your campaign objective doesn’t have a specific dollar value (i.e. content creation), it is a good idea to assign a value before launching your campaign. This will give you an objective data point to measure success later. 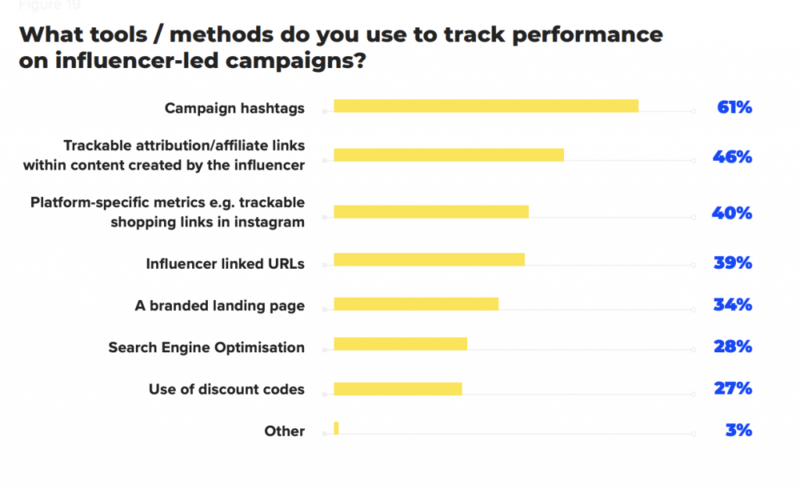 When running an influencer campaign with multiple influencers, you’ll want to track the results from each one individually. This will allow you to calculate influencer marketing ROI on each partner, which will ultimately allow you to identify your most valuable partners. Before beginning your campaign, establish which metrics your influencer will track and share with you. Using their metrics as well as your brand-owned data, you will start to see which partners truly have the most influence. When assessing influencers, look at metrics such as total impressions, number of clicks to your website, average engagement rate, conversions, revenue and amount of user-generated content. It is common to find that certain partners are better at driving different metrics, but remember to align the outcomes with your campaign objectives. As you compile data on individual influencers, you’ll be able to determine the best partner for future campaigns. Influencer marketing focused agencies are increasingly growing. 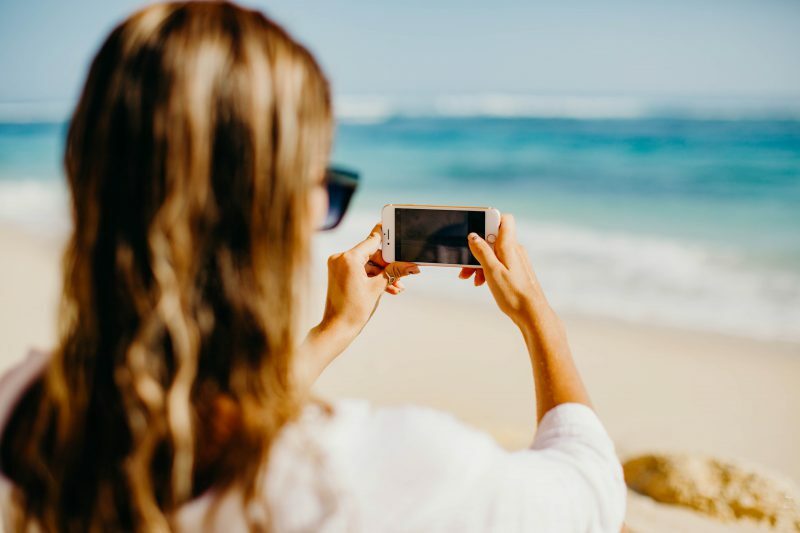 According to the 2019 State of Influencer Marketing report by Relatable, 76% of marketing teams are operating their influencer marketing manually– meaning that they run campaigns without the assistance of any tools. 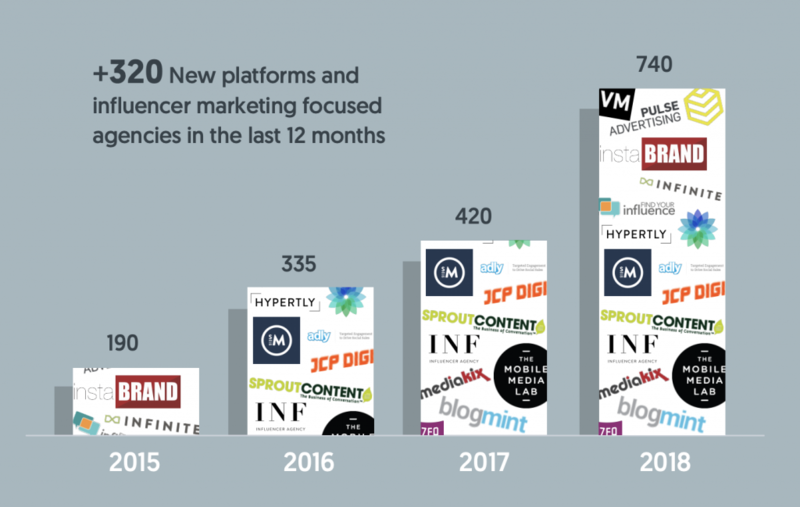 But this isn’t because of a shortage of platforms: over 320 influencer marketing platforms and agencies have opened in the last 12 months. Manual influencer marketing can be a very tedious and time-consuming process, particularly when it comes to scaling influencer campaigns and measuring results. If you are ready for support in tracking your influencer marketing ROI, check out this resource: 10 TOOLS TO HELP YOU RUN A HIGHLY SUCCESSFUL INFLUENCER MARKETING PROGRAM. While it’s critically important to understand the return you get from influencer campaigns, it is just as important to know the true cost of each campaign. 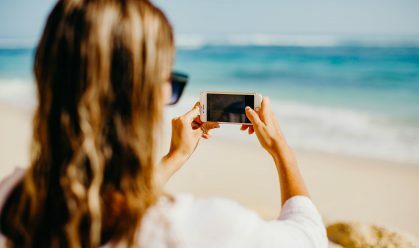 86% of marketers surveyed by the Influencer Marketing Hub reported that they will be dedicating a portion of their budgets to influencer marketing this year, with the most common budget percentage in the 10-20% range. A big part of those budgets are likely going towards influencer fees, but there are other costs to consider. Even if you are working with influencers in exchange for a product, there are several expenses that need to be factored into your overall influencer marketing budget. These costs include staff and time required for campaign management, software subscriptions, agency fees, product samples, content production, and budget for any promoted posts. If these items aren’t added into each campaign budget, your ROI will be inaccurate. Once your campaigns are underway, track results at regular intervals to see how each influencer and the campaign as a whole is performing. By watching your KPIs during the campaign, you are able to make adjustments if you find one tactic (or partner) outperforming others. With information about the performance of each influencer in hand, you can filter out poorly performing relationships and use your budget to scale via your best-performing influencers. Once the initial campaign learning is complete, it is often a good time to put an advertising budget behind the best content and posts. After your campaign has ended, calculate your influencer marketing ROI using the formula shown above. Create a document where all data on ROI can be logged so that you can establish benchmarks for future campaigns. Do your homework – get to know your partners and make sure they have a truly engaged following. Develop long-term relationships with partners – their followers are more likely to take action if they are already aware of your mutual affinity. Focus on one objective per campaign with a single call-to-action. Provide limited talking points to influencers to keep your message clear. Allow your influencer creative freedom so that they are authentically engaged in the content they are promoting on your behalf. As the influencer marketing industry continues to mature and budgets continue to rise, marketers will face increased pressure to prove the ROI of their campaigns. 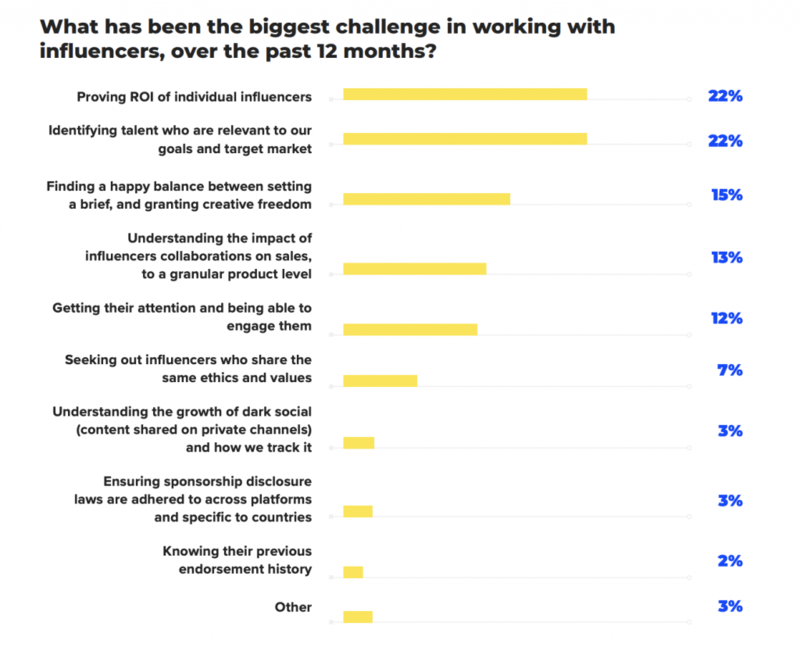 And while 70% of marketers do regularly calculate their influencer marketing ROI, it remains a key concern for working with influencers in 2019. 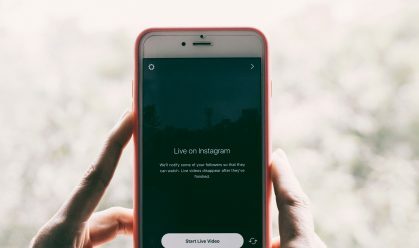 Is influencer marketing part of your strategy for 2019? And if so, how are you tracking metrics and calculating ROI? 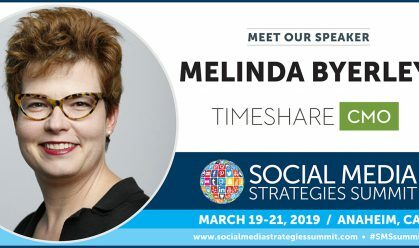 Our in-person top-rated digital marketing conferences feature a line-up of top brands that share their processes and best practices for building and maintaining a high-end influencer marketing strategy, among many other related topics in social media marketing.